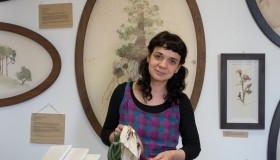 Jackie O’Neill / Dotti Was A Deer is a Cavan Based Textile artist and Illustrator. 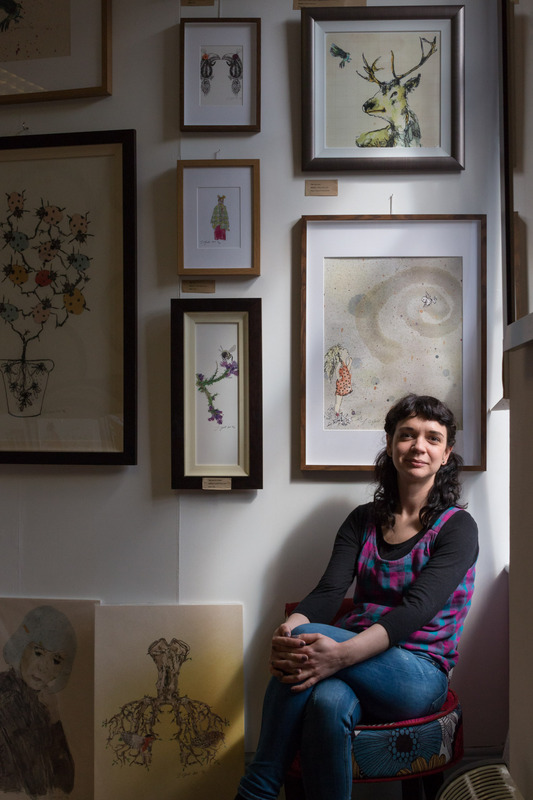 She has been practicing as a full time artist since 2012 and as a result has a colourful and diverse range of textile and paper prints which make a special and unique gift for all occasions. 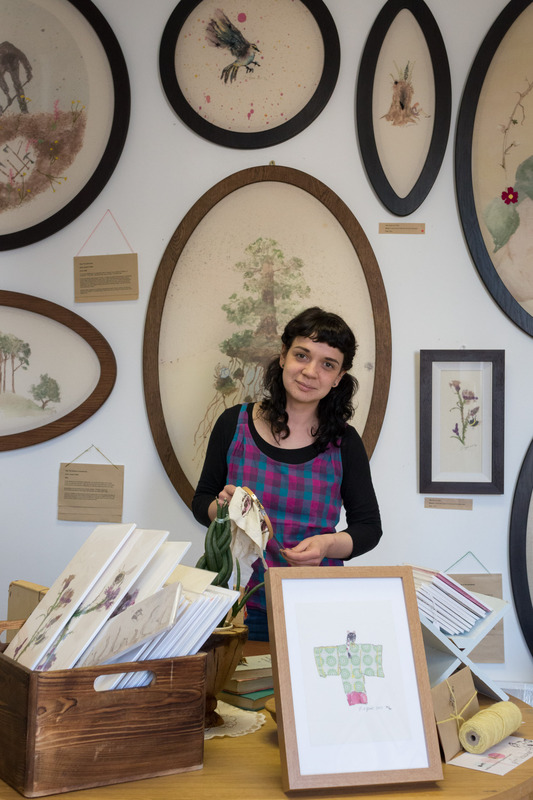 She has her own little studio Gallery in Bridge Street, County Cavan. 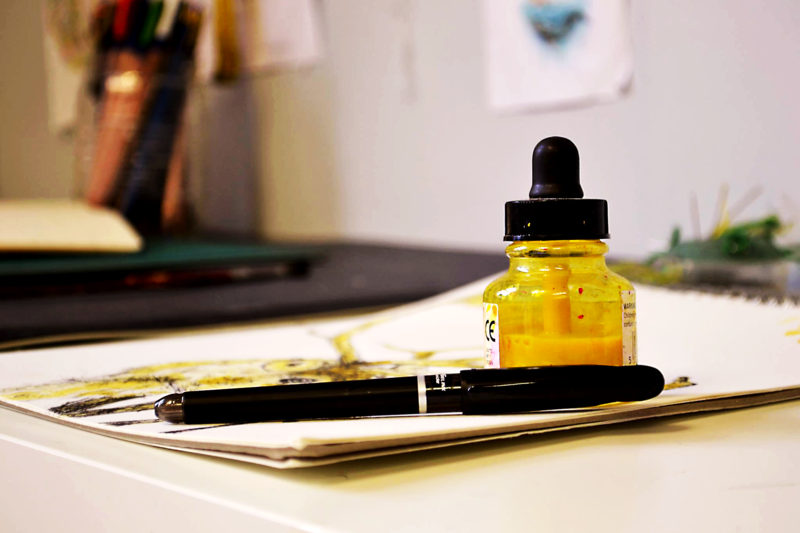 Her cute little studio opens to the public only three days a week and the other days she shuts up to get creative. 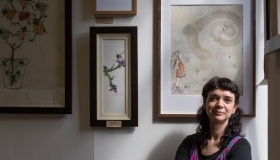 All of Jackie’s work is limited edition, signed & numbered. Paper prints are limited to 40 only editions and textiles are limited to 10 or 20 depending on the range. All Jackie’s Textile prints are finished with hand embroidered detail, making every single piece unique. 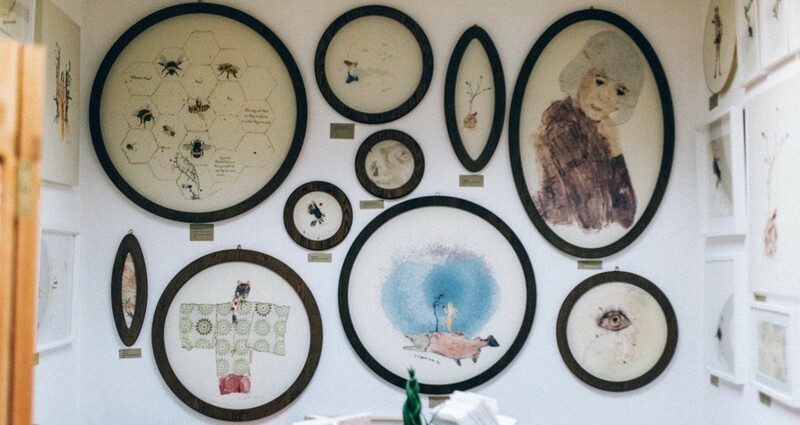 Jackie’s signature round and oval frames are a collaboration with Cavan woodworker Joe Doherty, they add another layer of craft to the artwork.